Pre-purchase admission tickets to next spring’s event! 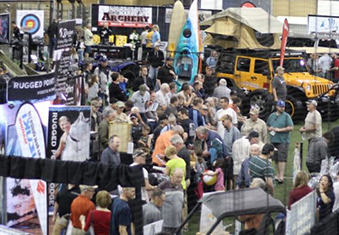 These admission passes make the perfect gift for hunting, fishing, and outdoor enthusiasts. These unique gifts work great for your clients, customers and staff. Expect 4-7 business days for delivery. Purchase via Paypal below or email us at info@bcinteriorsportsmanshow.com to order Ticket Packs. 10 Packs for $ 90 plus tax – save 10%! 50 Packs for $425 plus tax – save 15%! *Expect 4-7 business days for delivery. Shipping included in price.